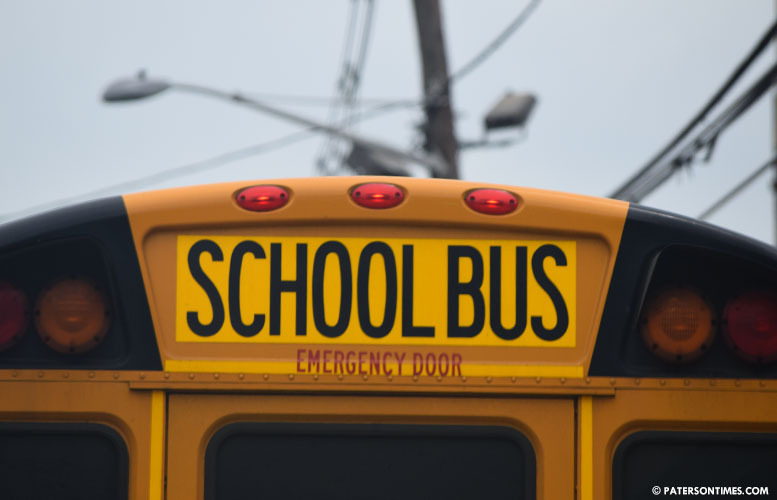 The school district saw an 82-percent drop in violations — drivers without commercial driving licenses, failure to pick up students, and other infractions — committed by bus companies in the 2018-19 school year. Private bus companies collected 18 violations between Jul. 1 through Oct. 4, 2018. During the same period last school year, the bus companies racked up 102 violations, according to district records. Paul Brubaker, spokesman for the Paterson Public School, confirmed the big drop on Tuesday afternoon. He said the district changed its bid specifications for busing contracts and assigned more routes to better companies. A key change was requiring bus companies to have vehicles from 2007 or later. “The district is constantly monitoring the performance of the contracted bus companies, and keeping safety as the top priority,” said Brubaker. Superintendent Eileen Shafer took a no-nonsense approach to dealing with rotten bus companies in 2017-18 school year. She yanked 37 routes from US Student Services of Woodland Park after it allegedly jeopardized the safety of students. Shafer had to return 34 of the routes after the company filed a lawsuit. The district then went after A-1 Elegant Tours of Summit, which had the most violations of all companies, securing a two-year ban against the firm. A-1 Elegant Tours of Summit, owned by Shelim Khalique, brother of councilman Shahin Khalique, racked up 36 violations by Oct. 4, 2017, according to district records. Capers began to take aim at both the bus companies and school officials in the transportation department. He was responsible for putting forth the 10-year or new vehicle restriction at a board meeting. “I had to put this on blast and hit this head on. Buses were breaking down all the time,” said Capers. The back wheels of a school bus owned by Sarah Transportation flew off on the New Jersey Turnpike in April. Six students were on the bus. No one was injured by the “grace of God,” related a teacher, who accompanied the students. The violations in the current school year are less severe than the pervious year. For example, none of the companies received violations for having drivers without commercial licenses. There were no violations for failure to pick up students or dropping them off unattended. “When I saw guys not having CDL, I thought that’s just wrong,” said Capers. He said there were internal changes the district made that helped as well. For example, the transportation department is now under the business office. Capers credited Shafer for being “aggressive” in tackling a problem that had put many young people at risk. “When you hold the district accountable it will do things differently,” said Capers. He also thanked his colleagues on the school board for supporting his proposal to set vehicle age limit.